The Annual Biomedical Research Conference for Minority Students, held from November 1st to the 4th gave two URI students the opportunity to present their research as well as open doors to graduate and Ph.D. programs. The conference, held in Phoenix, Arizona, was the goal at the end of countless experiments, studies, and hypotheses for many students. 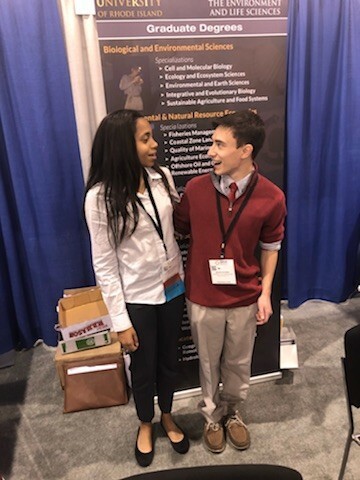 It held over four thousand presentations, allowing students all over the country to share scientific research they had done at their university. The conference consisted of multiple parts, the presentation of scientific posters about students’ research, student oral presentations, informational programs and sessions to help students further their research, and exhibits and recruitment by graduate schools. The conference was facilitated by Assistant Professor Bryan Dewsbury of the Science, Education and Society (SEAS) research lab. Lizmaylin Ramos, a junior who went on the trip presented research on the effects of cultural competency classes on undergraduate perceptions of race and society. There were many tasks to get her to the conference. Multiple tests of her project, putting together her presentation, as well as a lengthy application. The conference allowed students from minorities backgrounds to get opportunities they had not had before, opening doors to further education, research, and job opportunities. 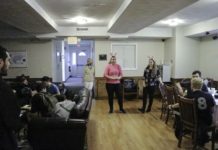 It allowed students that, otherwise would not have been able to, to experience a community where they felt as if they belonged and saw that there are others with the same goals that they could relate to. Ramos’s research went right along with the purpose of the conference. 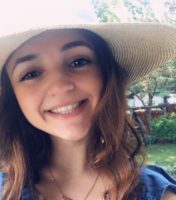 By evaluating reflections from the students in URI’s cultural competency class, she found that students who learned extensively of culture, race, and religion had more of an understanding of others’ lifestyles, and therefore gained a more accepting outlook. The hope for Ramo’s research is to later implement some kind of campus-wide social competency class to allow students to open up more to each other, as well as learn about the many cultures and lifestyles of those living and learning in the same environment as them. Another student, Nicholas Bush, also presented at the conference. Having won an award for outstanding presentation in behavioral sciences/public health section, described his experience as very memorable.